With Summer Approaching Is The CarPlay Firmware Update From Pioneer Imminent? Summer is less than a week away. June 21 is a Saturday this year, and the first day of summer. 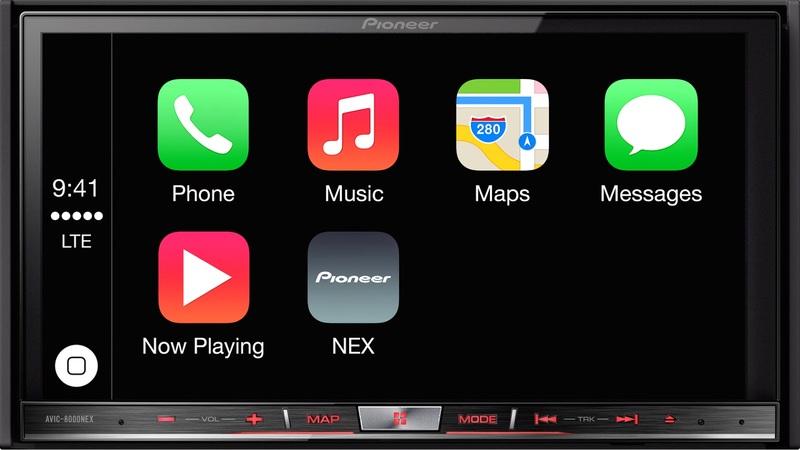 Pioneer's promised firmware update for its NEX receivers which will enable CarPlay is expected "this summer." So when is the big day? - Pioneer likes the first day of summer: If you all remember, the AppRadio 3 went on sale last year on June 21. The device was announced in May with an "early summer" shipping date. And sure enough the first day of summer was "early" enough. Previous generation devices from Pioneer have also been launched in the summer. - Expected date changed from "early summer" to "this summer": Even though Pioneer initially said an early summer availability of the firmware, in recent days they have changed that to "this summer." The word "early" is gone. Does this mean the update is delayed? - Pioneer Media Event: At a CarPlay media event in San Francisco last month, Pioneer's Vice President of Marketing, Ted Cardenas, remarked that CarPlay is "weeks, and not months, away." The event was held on May 15, 2014. It's been a month since that day so it is likely that the firmware update may have been delayed due to whatever reason. - Apple's new iPhone announcement: Apple is expected to announce its next generation iPhone sometime soon. Most rumors point at a July announcement with a September release. Although Apple's announcement won't directly affect Pioneer as the new iPhone will most likely have the same lightning port, it is worth keeping an eye on. Maybe Pioneer wants to test out the new hardware with their latest hardware and software before making it available to the public. When Pioneer does make the firmware available for download they will make the announcement on their website and post links to download there. We will have the latest news as it comes out. Stay tuned for the latest. I hope it's soon! I just got my AVH4000NEX and an iPhone 5C. As the Appradio mode is buggy and unreliable (and pretty much unusable), Ireally hope they get this update out there as soon as possible. I have an 8000NEX in my AudiTT, wife has a 7000NEX in her Hyundai Tucson. We both have iPhone 5S's, and are EAGERLY waiting!!! !